In this picture from his Instagram account we can see he is using the Kemper for warming up. Jonny's guitar tech has stated that for the Ghost Stories live record, most of Jonny's audible signal was coming from a Kemper Amp Profiler rather than the visible Silvertone 1484. Source [here](http://www.coldplay.com/oracletags.php?tag=ghoststories&page=2). In this picture, the Kemper Profiling Amplifier is also a part of the gear used on the "The 2nd Law" Tour. Below his power conditioners, you can see his Kemper profiling amplifier which he uses for guitar amp modeling in his songs. Scott's rig which consists of, among other things, a Kemper rack unit. The Kemper Rack can be seen in Abasi's setup at (0:03) in this video. "Profiling means you setup your amps and you can make what is essentially a tone print of your amp/mic chain to take with you. For the sake of weight, I wanted to try it. "I’ve been using the Rectos for so long for a specific sound, but I wanted to see if we could do it with less weight. There’s a 23kg weight restriction when you fly and we have to keep our costs down. So I tried the Kemper and it’s worked out killer. "This rack-mounted one has a 400-watt Class D power amplifier under it. So I have a Mesa cab onstage to get some sort of air movement, which I do like. I miss having amps onstage. The whole completely direct thing kind of sucked for me. So having the cab onstage has been great," says Devin Townsend, on [Music Radar](http://www.musicradar.com/news/guitars/rig-tour-devin-townsend-project-621935/20). In this photo from Kemper Amps [official Facebook page](https://www.facebook.com/kemperamps?fref=photo), they showcase Trent Reznor's Profiler rig mount and write "Tomorrow on stage at the Verizon Center Washington DC. Trent Reznor with his Profiler Rig." 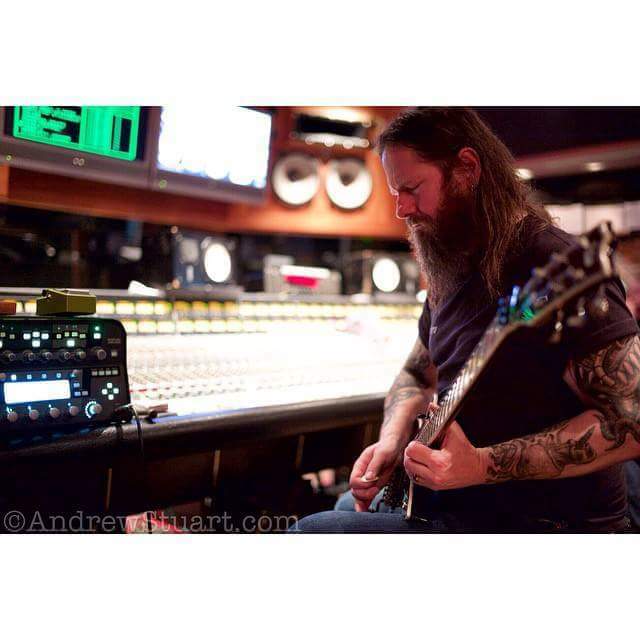 In the image you can see Gary Holt playing with a Kemper Profiling amp whilst recording the new Slayer record. Mark Hoppus posted couple times using Kemper for live show, in his Instagram or Facebook, and Twitter. At 2:27 in this Premier Guitar rig rundown, Perry explains Matt Heafy's minimalistic live setup, mentioning that he and the other band members all go through Kemper systems. Matt Heafy says "it's guitar, wireless, Kemper, Kemper goes directly to the PA."
In this image, one can see Dino using two Kemper Profiling amps onstage. In the background of this Instgram photo, you can see a Kemper Profilier in the background. St. Vincent says in this [*Guitar World* interview](http://www.guitarworld.com/enigmatic-st-vincent-talks-technique-gear-choices-and-dimebag-darrell) "I’m using a Kemper modeling amplifier for live work. Originally I was bringing out vintage ’66 Kalamazoo kind of small amps—the kind of little guy that you could ram a lot of signal through and get a nice breakup and saturation and all of that. But I just stopped." Dec is using a Kemper Profiler Rack in his live rig. At 14:52 Paolo proceeds to talk about his use of the Kemper. I don't know how much it has changed, really. I mean, in 2002 we went with SansAmp, and on the last tour we did I think I had five Marshall amps hot rodded with the eight Marshall cabs. But this time we're going to go with Kemper. It's like an Axe FX kind of rack. I actually get to simulate the guitar sound I have in the studio. I don't know how it's going to work, but they say it's very simple. I just got it at home today, so I'm going to sit and program it and do everything with it. Hopefully, that's going to be enough. No speakers, only the pre-amps. Whole video is about how Chris and the band use Kemper. In this image Olavi can be seen with Johan in front of the band's Kemper profiling amp tour rig. "We're using the Kemper amps. We brought them to the studio and we profiled all of our sounds...it's an amazing little gadget,"says Ted Lundströrm, at 3:00 in this video. "Now I use a Kemper Profiler Amp and I use the Maxon in the Profiler," says Johan, at 0:30 In this video. Behind Tomi you can see the rack mounted Kemper Profiler he uses. In gear used on his web site he says he uses kemper. Alex and Jack are shown here in front of their Kemper Profiler Rack Guitar Amp System. Jack says in [this Facebook post](https://www.facebook.com/kemperamps/posts/1058187784197544) "Kempers have changed touring for me. In the past I believed that no matter what, digital heads would always sound a little "robotic". But now I have been proven wrong. My Kemper has given me any amp I could imagine. As crisp and accurate as the real thing." This video was taken by Richard's guitar tech, it shows the amps. At 2:40, Parker tells us about his Kempler amp. keenemachineSo many lights. So many buttons. Oh yea, it sounds cool too. we can barely see those capitalists pigs from KsE using kempers. You can see the Kemper rack on the right side of Jeff's desk. As far as I know Jeff and Keith Merrow are using Kemper profilers most of the time. At 5:30, we can see two rackmount, first generation Kempers that run straight into an unspecified DAW. Since his return to Sum 41, Dave has been using Kemper system. The Profiler is unbelievable. The amp selections, option to profile whatever amp or sound you desire and overall effects are a guitar players dream come true. Whatever sound you're aiming for, Profiler delivers! Amongst the all the Orange gear in this Instagram post by Sam Bowden, you can see a Kemper Profiling Unit in the rack, which West uses. Here, Tyler confirms that he uses a Kemper live with State Champs. "Leprous has started using Kemper Amps for our live shows! Einar is running all his keys through his through the Kemper Profiler and TorO and Robin is using Kemper Profilers alongside tube amps. " Bullet For My Valentine Started using kemper profiler rack since they released they're album Venom both the rythme guitarist (matt tuck) and the lead guitarist use this profiling amp. at the 7:39 mark, Adam shows his kemper (which is also similar to BC's). seen at the 2:40 mark, he states that he loves kemper because he has quite a lot of amps at home and he prefers the versatility of this amp. Here's an image of Ol Drake holding his Kemper Profiling Amp. Here, Jared is seen to use a Kemper. 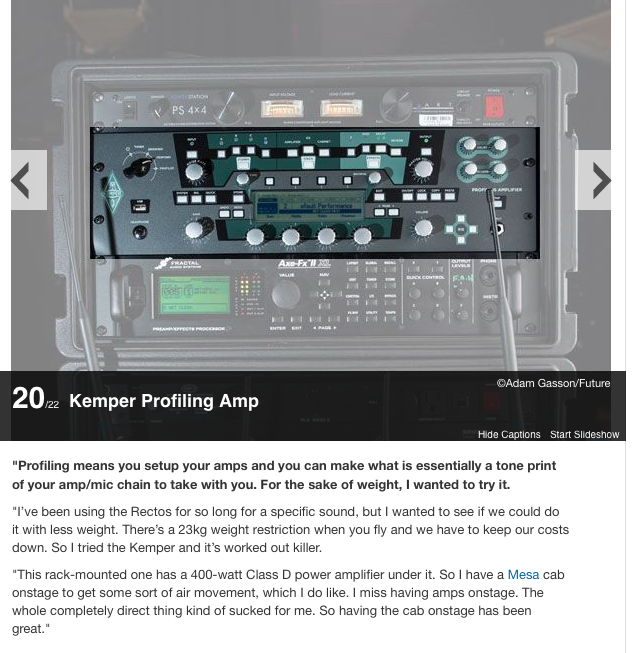 You must have heard of the Kemper [profiling amplifier] if you work for Ultimate-Guitar. I'm completely switching my rig over to that. Kai and Dominik use Kemper amps on Parasite Inc. shows. 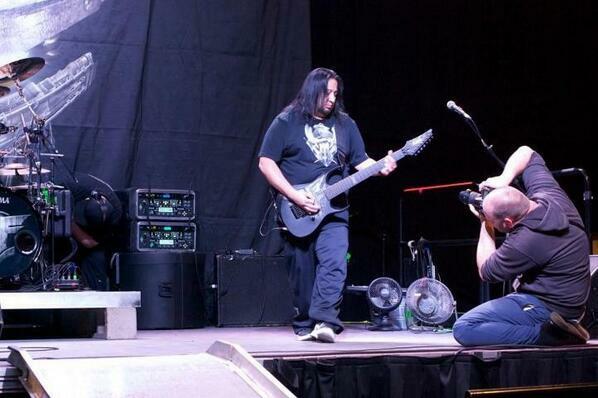 They also used them for the guitar playthrough of the song "Cold Silent Hell". From Grey's AMA on /r/Music, "we use a kemper for electric guitar." > "Irons uses a Kemper Profiling Amplifier live, and all of his profiles are Fender Bassman sounds. Irons is used to playing Marshalls, so he’s currently trying a real-amp approach with only boost, clean, and dirty profiles. 'The Kempers can do so much more than that, but I’m still adapting to using them, so I’m going for a basic thing right now.'" -Tessa Jeffers; Rig Rundown by [Premier Guitar](http://www.premierguitar.com/articles/23529-rig-rundown-awolnations-zach-irons) on Zach Irons When looking at his pedalboard [here](http://www.premierguitar.com/ext/resources/images/content/2015-12/RRs/AWOLNATION/pedalboard-ENL.jpg?14508998780), he uses a footswitch to switch between amp settings (left of the volume pedal). Here Mateus is seen using a Kemper Profiler for his tones. In this photo posted by Sam Bowden, the amp system can be seen among the Orange products. Around 56:25 they say that the two guitarists use this. Aj starts to talk about his Kemper at 4:05.
he shows this off in his rig rundown and says this is all he uses amp wise and doesnt run heads or cabnits or anything like that. In an Instagram post made by Leda on September 29th, 2016, his studio rack is shown to include a Kemper Profiler Rack Guitar Amp system. 9:10 - Bryan uses a rackmount Kemper Profiler, his sounds are profiled from a Marshall JVM. The Kemper Profiling Amp is the only piece of equipment any studio needs. It accurately captures the tone of any amp/ cab any guitarist can want. I have had many a guitarist come to my home studio and swear by the tone of their amp just to be blown away by the Kemper (its the tone you end up hearing on the record). Don't spend good money on one amp when you can have any amp you want with the Kemper. I am your typical tubes or nothing man, I love my fender. So I borrowed a rack model off a friend already convinced this would never stand against my tube power!!! One hour later I'm sold, I hate that they are so good, but they really are, for theatre shows or pit shows this makes total sense. you can have all your best amps and amps you could never hope to own in real life, right in one small package. They are being updated all the time so they are always on the top of there game. Are they worth the money? Yes. Are they for everyone? maybe not. Do they replace a great amp ripping your face of with tone?....... thats not for me to say. The Kemper PA has been my go to rig for both live and studio applications for two years now. It has been all over the US and even overseas. It is durable and provides the best tones available in any device. Solid state or tube. Nothing beats the KPA. They have top notch support staff as well. The 5 star rating only goes to Kemper. It is the benchmark for excellence. By purchasing the Kemper... I now have 1,000s and 1,000s of amazing guitar amps in one box. I could never afford those. I have the powered version and is actually the black lunchbox. For studio-work I use the unpowered "toaster"-version since 5 years (but not solely!). 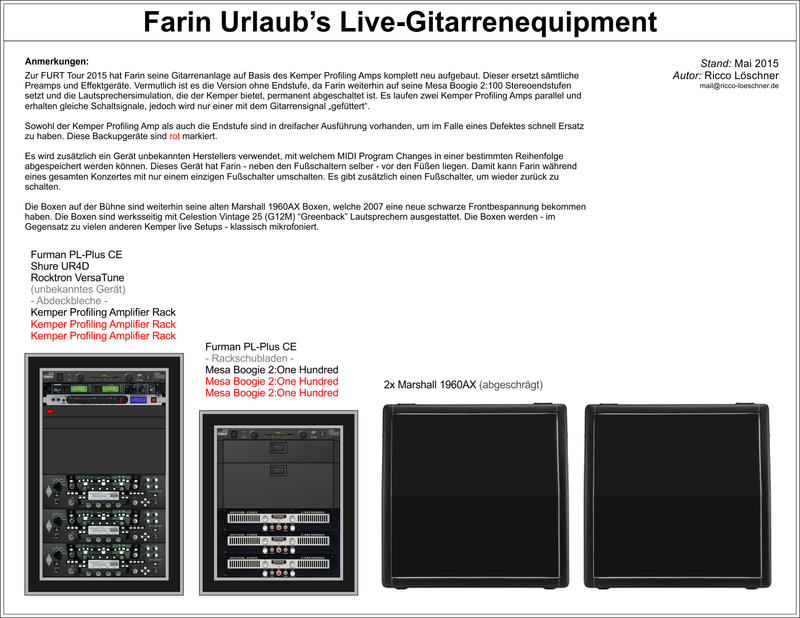 For live performances the rackmount version was an obvious choice. Regarding the sound of the Kemper and the accuracy of profiling an original tube-amp I have to admit that this thing is not the absolute 100%-solution in every case despite all the praise you are reading elsewhere. Still this thing is a good alternative to using a tubeamp on stage especially when you have no crew to carry your stuff around. It's well build and the handling of the controls are almost perfect and especially the powered version makes a lot sense on stage since you can route your signal to a cabinet and the DI-box at the same time plus feeding your inear-monitoring. To integrate and control other hardware the Kemper is not as versatile as a Helix. Also the effects-section feels limited in comparison to an AxeFX. But the focus of the Kemper is basically the amping itself and based on the use of it as an amp onstage, this is pure gold. Needed to have this one!! Si quieres grabar guitarras de calidad y te gusta la versatilidad, este es tu aparato. Genial para cualquier estilo. Y es un producto que se va actualizando. See inside and out of this Kemper amp. I have owned one for years and originally had the unpowered version. Later I carried out a conversion to make the Kemper powered and I still have the unit today. See what the amp is made of and how it stacks up.